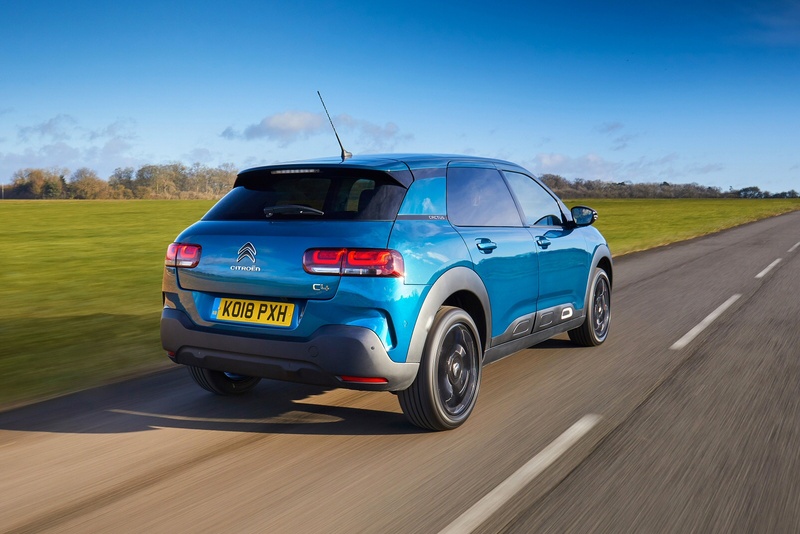 Citroen has moved its C4 Cactus into the mainstream, this car now replacing the previous conventional C4 hatch as the French brand's offering in the Focus and Astra-dominated family hatchback sector. 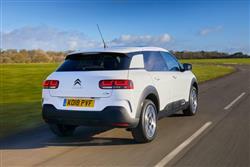 To suit its more conservative segment, the styling's been dialled down a bit but there are more comfortable seats and a clever suspension system to make this contender feel really Citroen-esque. It's rather refreshing this. We seem to be in an age where it seems that just about every kind of car has to be offered in some kind of 'SUV'-orientated guise. 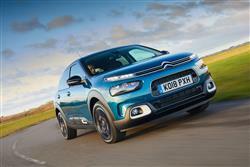 This one though, Citroen's C4 Cactus, has gone the other way. 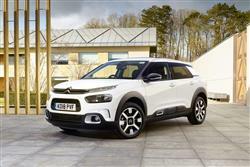 It was launched back in 2014 as a model that mainly took on small B-segment Juke and Captur-style SUVs and Crossovers - though Citroen maintained at the time that the car wasn't an SUV. Now, it really isn't. The brand has at last killed off its slow-selling conventional C4 hatchback and has moved the C4 Cactus range a little more into the mainstream to fill the gap created. As part of that evolution, a little of the original C4 Cactus aesthetic eccentricity has been lost - but then if you want that, the company hopes you'll consider their C3 Aircross model, which is aimed at those for who a C4 Cactus would once have been the preferred choice. Cactus customers now are people who would once have just signed up for yet another Focus, Golf or Astra, but now want something a little different. 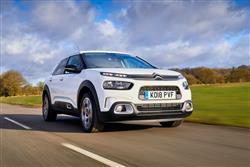 As far as dynamic improvements to this C4 Cactus are concerned, the big news, appropriately enough for a Citroen, centres on changes to the suspension. The damping set-up fitted to the original version of this car was somewhat crude but that's certainly not the case any more, the brand having introduced a clever new 'Progressive Hydraulic Cushions' system that is supposed to absorb road imperfections for a magic carpet ride effect, without adversely affecting the car's handling. The engineware hasn't changed, so buyers continue to get the choice of three PureTech 1.2-litre three cylinder petrol engines. There's an entry-level normally aspirated 82bhp option, but most buyers select between the two turbocharged versions of this unit, these developing either 110 or 130bhp. 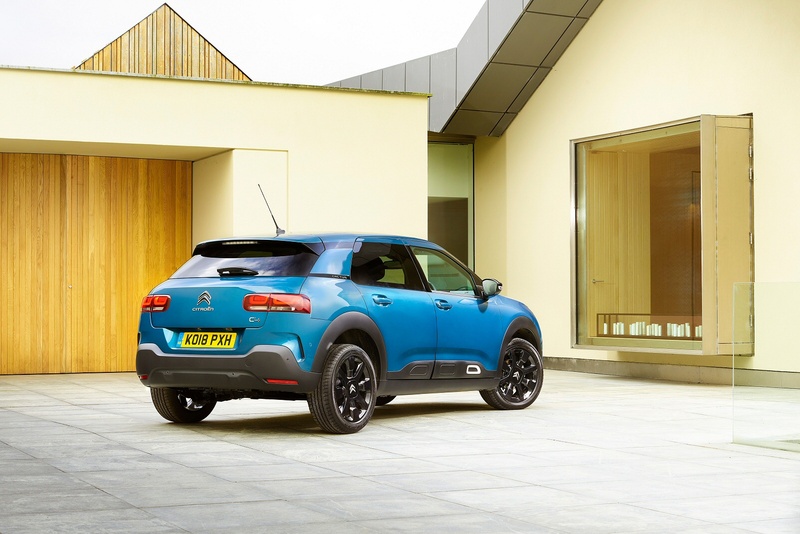 The lower powered unit can be ordered with EAT6 auto transmission and in manual form, will get the C4 Cactus to 62mph in 9.3 seconds. 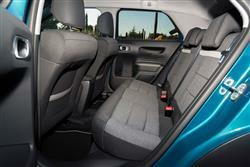 The pokier engine comes with a 6-speed manual gearbox. The diesel alternative continues to be a 1.6-litre 100bhp BlueHDi variant, offered with five-speed manual transmission only. On the move, handling continues to be aided by the fact that this car remains extremely light, the three-cylinder petrol model weighing in at not much more than a tonne, which helps it get the most out of its modest engines. The main exterior design talking point of the original C4 Cactus model was well documented; its distinctive side 'Airbump' panels. Potential buyers may - or possibly may not - be pleased to hear that the rather overt aesthetic effect of these has been downgraded in this revised design in Citroen's efforts to reposition this car as a more conventional family hatchback, rather than some sort of lifestyle SUV. The wings and doors have also been subtly re-designed, as has the tailgate. Recognisable from before though, is the signature C4 Cactus two-tier front end and its broad 3D-effect LED light signature at the rear. Inside, there are more subtle changes but it's all very recognisable from what went before, with a low-set dashboard, a fully digital instrument panel and a centre-dash 7-inch touchscreen. Smart familiar touches include the 'Top Box' glove box, which is equipped with straps, buckles and an embossed pattern said to be inspired by the world of travel. And the straps that serve as door handles. The key changes lies with the new 'Advanced Comfort' seats that feature a high-density foam that improves support and resists sagging over time. 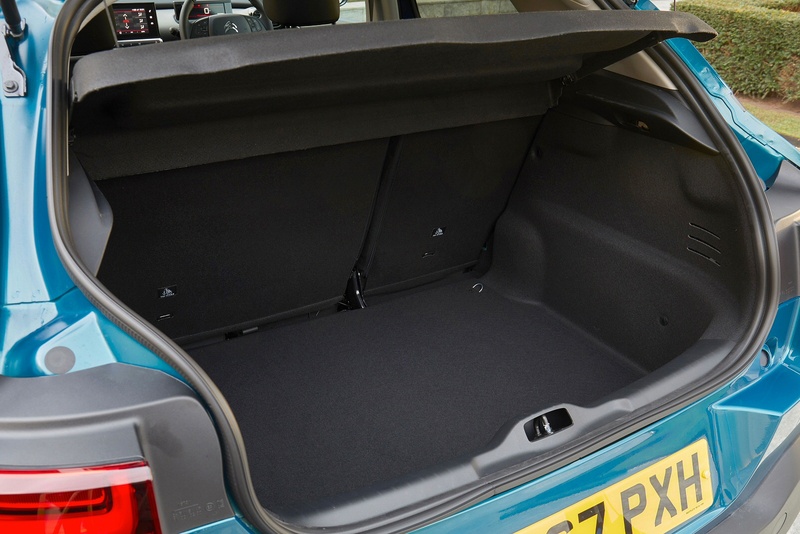 Extra elbow room has been freed up through the use of re-sculpted door panels and there's still a spacious boot, offering 358-litres and extendable to 1,170-litres with the rear bench folded. Prices start from just over £17,000 - a much higher stating point than was the case when this car was originally launched. According to list pricing, you'll be paying in the £18,000 to £20,000 for most mainstream models. 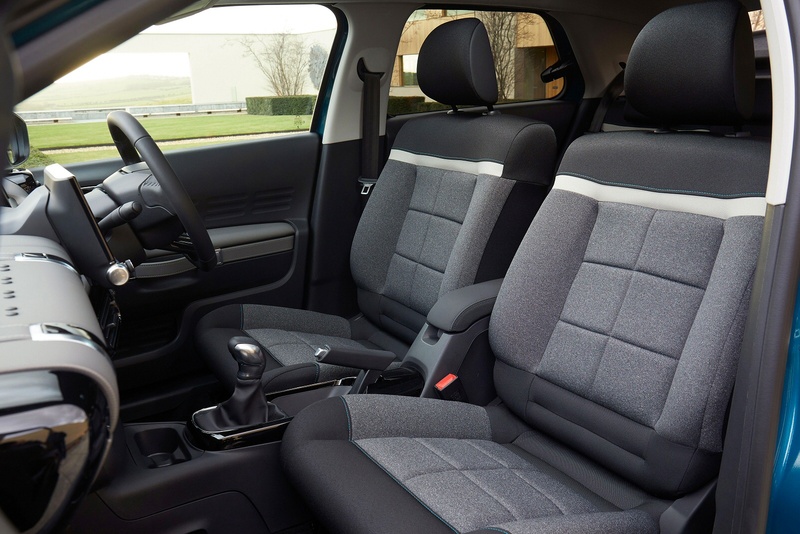 This may no longer by an SUV but it retains all the personalisation common to models of that genre, with nine body colours and four Colour Packs, giving a total of 31 possible combinations. 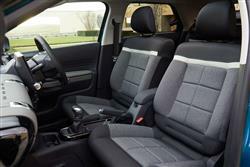 Inside, customers have a further choice of three different interiors that each deliver a unique feel. 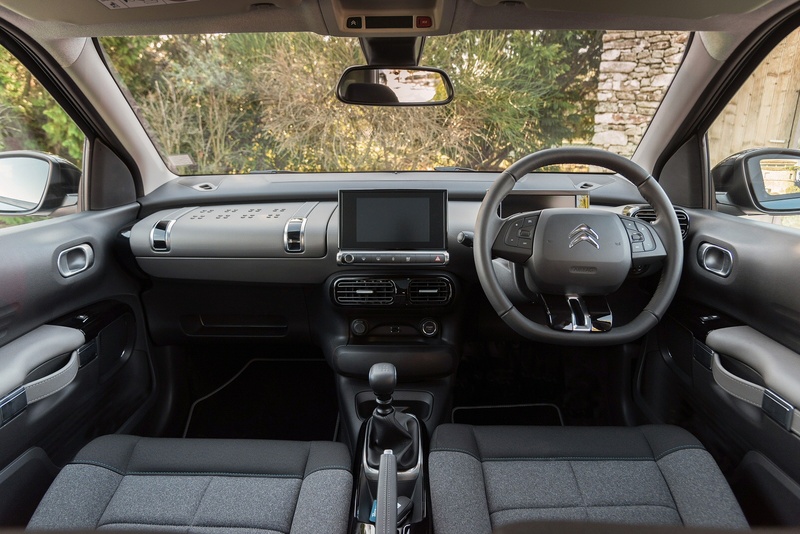 Practical and easy-to-use connectivity technologies include voice-controlled 3D navigation via Citroen Connect Nav, the 'Citroen Connect Box with Emergency & Assistance' package and 'Mirror Screen' functionality with the 'Android Auto', 'Apple CarPlay' and 'MirrorLink' systems. Safety provision's a highlight too, with 'Active Safety Brake' autonomous braking, speed limit ecognition, Lane Departure Warning, Driver Attention Alert and Blind Spor Monitoring all developed for this model, plus there's a neat 'Coffee Break Alert' feature that warns you to stop for a break if you've been too long at the wheel. Buyers can also have a reversing camera, keyless entry and a Park Assist system that'll automatically steer them into spaces. Plus you can have a 'Grip Control' set-up that increases front wheel traction in slippery conditions. 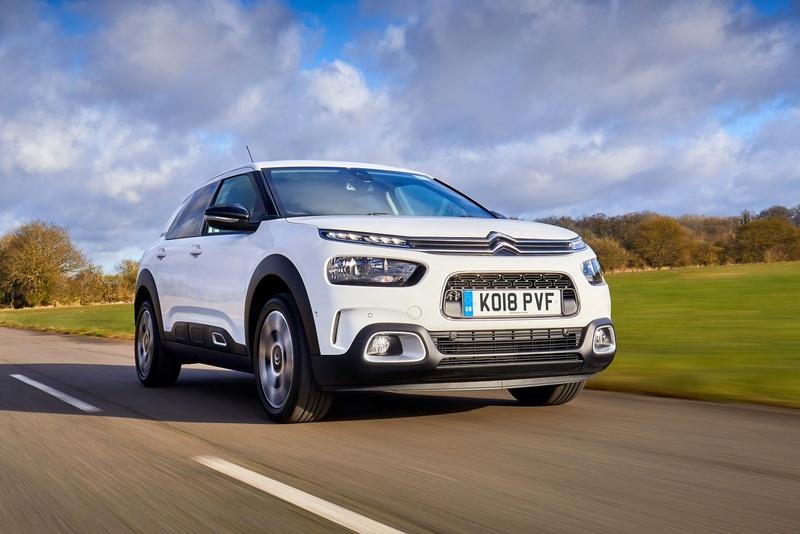 Because of this model's light weight, Citroen has been able to adopt small engines to improve efficiency, without compromising driveability. Combined with ultra-low rolling resistance tyres, the latest-generation PureTech petrol and BlueHDi diesel units offer a responsive drive whilst delivering impressive combined fuel economy figures of up to 83.1mpg and CO2 emissions from just 94g/km. The PureTech 100 model manages 65.7mpg on the combined cycle and 104g/km of CO2. Impressive engine technology also plays its part in this strong efficiency showing. 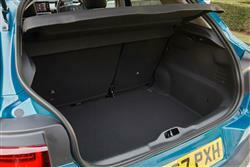 The PureTech petrol models benefit from a 30% reduction in mechanical losses that are due to friction. While the PSA Group's BlueHDi diesel technology is based around a clever three-step after-treatment system designed to better eliminate the four nasty pollutants that diesel units usually put out - namely unburnt hydrocarbons, carbon monoxide, nitrogen oxides and particulates. Another thing that could help you keep garage costs in check is the affordable three year servicing plan that's available at point of purchase. 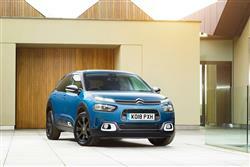 Finally, there's the usual Citroen three year / 60,000 mile warranty. 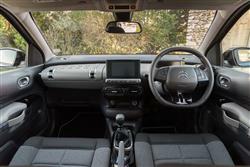 If you�re looking for a new Citroen C4 Cactus 1.5 BlueHDi Flair 5dr Diesel Hatchback for sale, you�ve come to the right place. At Bristol Street Motors we don�t just have the best Citroen C4 Cactus 1.5 BlueHDi Flair 5dr Diesel Hatchback deals, we also offer friendly advice and help with all your enquiries to ensure your buying experience is a happy experience.